BROOKE GLADSTONE: Frank Lloyd Wright once said that 'every building is a missionary. I don't build a house without predicting the end of the present social order.' And so it was ultimately with Hilma af Klint, her art was as subversive as her faith. A revolutionary religion for a revolutionary time. And it sprouted in the US, according to historian Ann Braude, in the year 1848. The year of the February revolution in France and the March revolution in the German states and upheaval in about 50 other countries where people demanded a free press, self rule and workers rights. And here, an end to slavery and rights for women in the nation's first women's rights convention in Seneca Falls, New York. ANN BRAUDE: Right in the same neighborhood and involving some of the same individuals, the emergence of spirit communication through the fox sisters, three adolescent sisters. They heard these raps on the floor and furniture of their cottage and they attributed them to the spirits of a dead peddler who they believed might be buried in the cottage. Now this could be any adolescent prank but the adults who surrounded them took this seriously. And among those adults were Isaac and Amy Post, distinguished Quaker abolitionists. BROOKE GLADSTONE: The Quaker notion was that every individual is a perfect transcript of the mind of God and it is the inner light within each of us that gives us access to the truth. ANN BRAUDE: Amen. Sounds like you're quoting from my book. BROOKE GLADSTONE: I am. So these two well respected Quaker abolitionist reformers bring the fox sisters to their home near Rochester, New York. And they form a kind of proto-Ouija board in order to communicate directly with the spirit world. ANN BRAUDE: That's exactly right. Isaac Post writes out the alphabet on a piece of paper and he moves his hand over the piece of paper and he stops when the spirit wraps manifest themselves. And they soon are able to receive communications from dead relatives that they can identify. The Fox sisters were understood as passive vehicles that were being used by spirits, external intelligences, who spoke through these girls. BROOKE GLADSTONE: And what did they say? These weren't Socrates and Shakespeare. ANN BRAUDE: They were Socrates and Shakespeare eventually. As mediumship became more developed, more and more famous people communicated. But the initial communications were with dead relatives. That is the hunger that made people sit around the seance table. The hunger to re-establish communication with the voices of those we have lost. Remember they didn't have tape recordings. They didn't have photography. They might have a lock of hair and they had a desperate desire to be in contact. BROOKE GLADSTONE: I'm glad that you talked about the technology they didn't have because there was a significant amount of technological development in this period. You did start to have the telegraph. ANN BRAUDE: The telegraph itself seemed like magic. The raps that the fox sisters heard seemed very similar to the taps of Morse code and it was a similar process using the alphabet to tap out a message. BROOKE GLADSTONE: So the telegraph may have contributed to the idea that there was no distance too far. How did spiritualists take up the idea of other technologies, particularly electricity? 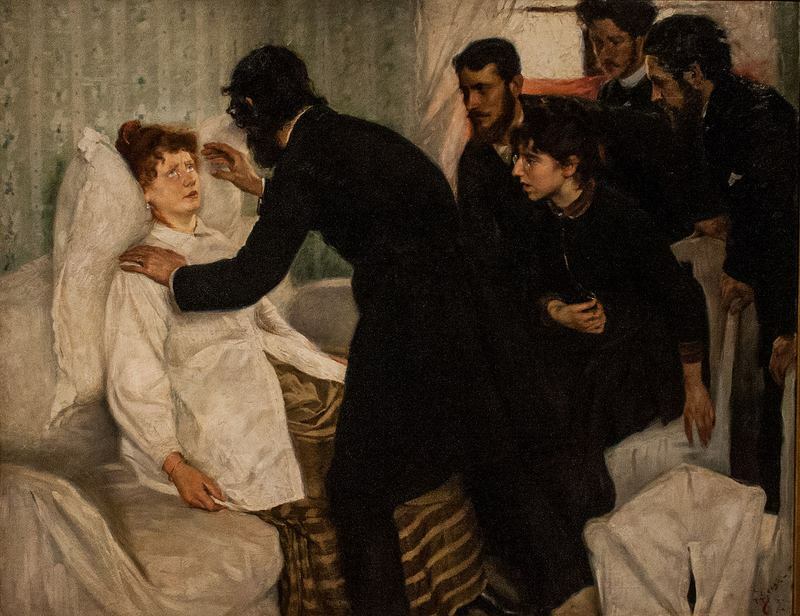 ANN BRAUDE: Well spiritualist very much thought of themselves as experimental scientists seeking empirical evidence of the immortality of the soul. They viewed men as representing the positive node of electricity and women the negative. These were connected in the seance circle. They believed they were creating an electrical circuit. Seances were practice all over the country in peoples homes and there might be particular individuals in a community who became known as mediums and invited for seances or it might just be a family member. BROOKE GLADSTONE: Some men were mediums but mostly they were women. Why? ANN BRAUDE: The perfect medium was a 14 year old girl. She provided the fewest impediments to communication. She was old enough to have a good command of language and a presence but she was assumed to be less educated and less able to dissemble than a male medium. BROOKE GLADSTONE: The spirits had fewer barriers to breakthrough because these women offered so little resistance. ANN BRAUDE: That's exactly right. They were presumed to be incapable of constructing the kind of political and scientific disquisitions that they often gave while under the influence of spirits. BROOKE GLADSTONE: And though society at the time would have penalized women, young or otherwise, who did show those aptitudes. Women were safe if they were hiding behind a spirit voice. You have an opportunity to say something, to make a contribution, if you don't own it. Who wouldn't choose to go that route? ANN BRAUDE: Women were taught to believe that they themselves were incapable of public speech. At the first women's rights convention there were people who attempted to speak in public who couldn't do it. And Susan B. Anthony was rather distressed about this. She didn't think women should be allowed to get up and speak if they couldn't make themselves heard. And it was the empowerment of the spirits that allowed many women to find a voice to be able to make themselves heard. Now does that mean that they were committing fraud because they believed that the power to do that came from spirits? I don't think so. BROOKE GLADSTONE: I'm just saying that these were remarkably receptive people. The kind of people who may be in a different circumstance wouldn't need the cover of the spirit. And even if they believed it. Do you? ANN BRAUDE: I absolutely believe that the women whose own understanding of themselves was that they could not speak in public without the help of spirits. I believe that they were genuine in that understanding. BROOKE GLADSTONE: I think we can agree that by bringing women into the public square it changed whose voices could be heard. ANN BRAUDE: Whether that woman was a temperance advocate, a revivalist or a spirit medium, she was likely to be the first woman that small community had ever heard speak in public. That experience itself was a revelation. BROOKE GLADSTONE: Many women who were active in the suffrage movement actually got their start as mediums. ANN BRAUDE: The radical reformers were very attracted to spiritualism because it coincided with their understanding of individual sovereignty. If individuals could communicate with angels, could hear from the dead who might be sitting at the right hand of God. Then you don't need a priest, you don't need ordination, you don't need theology. No individual should have absolute authority over another whether they assert that authority as a slave master or as a husband who owns his wife. That notion of individual sovereignty raised questions about all kinds of hierarchy. BROOKE GLADSTONE: Now listeners may wonder why we've spent so much time on spiritualism after having just had a walk through the Guggenheim exhibit of Hilma af Klint. ANN BRAUDE: Hilma is really a remarkable example of someone whose life was profoundly changed by spirit communication. And I think she's also a wonderful demonstration of the ridiculousness of thinking that spirit mediumship is fraud. One of the most interesting quotes that I read from her is when she says, 'it was not the case that I was to blindly obey the high lords of the mysteries but that I was to imagine that they were always standing by my side.' Now to me, that sounds like many artists trying to convey a deeper truth. She understood that artistic expression as being direct connected to specific external intelligences. That's a little bit more concrete than I think what Hans Hofmann meant when he talked about the spiritual in art. But I think it's the same experience. BROOKE GLADSTONE: Have you ever wondered why she specified that her work be kept secret for at least 20 years after her death? ANN BRAUDE: Oh, I wonder so many things. I want to know everything about her. I want to know how her group of five women artists, The Five, was convened. Spiritualists thought you need men and women to have the appropriate electrical circuit for a seance. How did they convene this group of five women artists? I've never heard of anything like that. The idea of her purifying herself for a year. Does that come from her exposure to Eastern religions through Theosophy? Does it come from the Lutheran church? Or how she did it? Who was doing the cooking? I just can't conceive of this. I have a thousand questions. BROOKE GLADSTONE: Ann, thank you so much. BROOKE GLADSTONE: Ann Braude is the director of the Women's Studies in Religion Program at Harvard Divinity School. And she's the author of Radical Spirits: Spiritualism and Women's Rights in 19th Century America. BOB GARFIELD: That's it for this week's show. 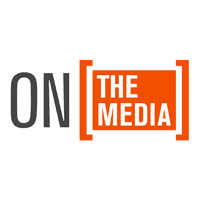 On The Media is produced by Alana Casanova-Burgess, Micah Loewinger, Leah Feder, Jon Hanrahan and Asthaa Chaturvedi. And this week we say goodbye to our intern Samantha Maldonado. Sam thank you, you were fantastic. And our show was edited by Brooke. Our technical director is Jennifer Munson. Our engineers this week were Sam Bair and Josh Han. BOB GARFIELD: And I'm Bob Garfield.